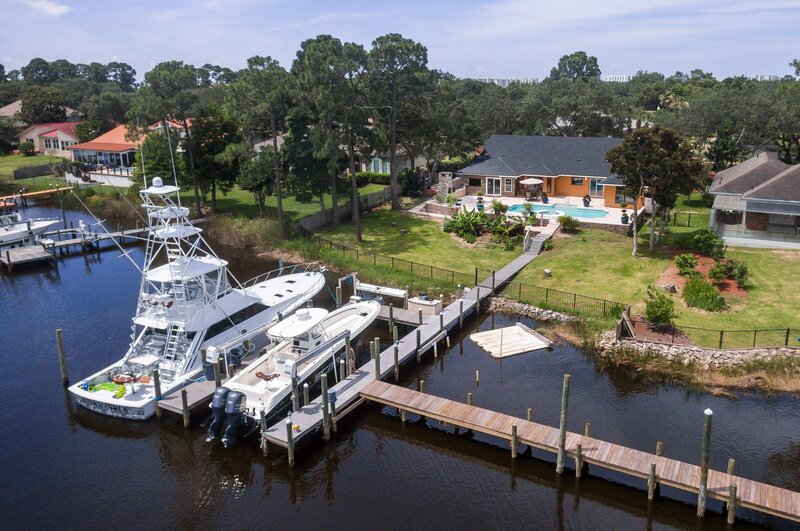 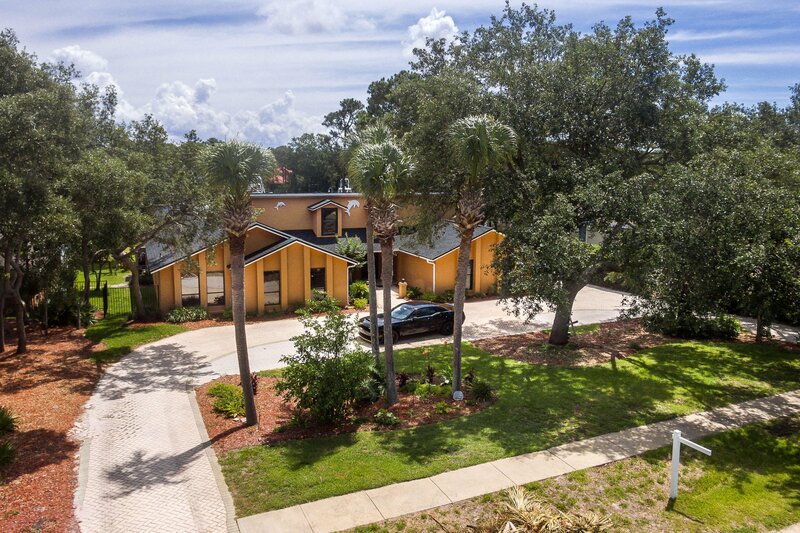 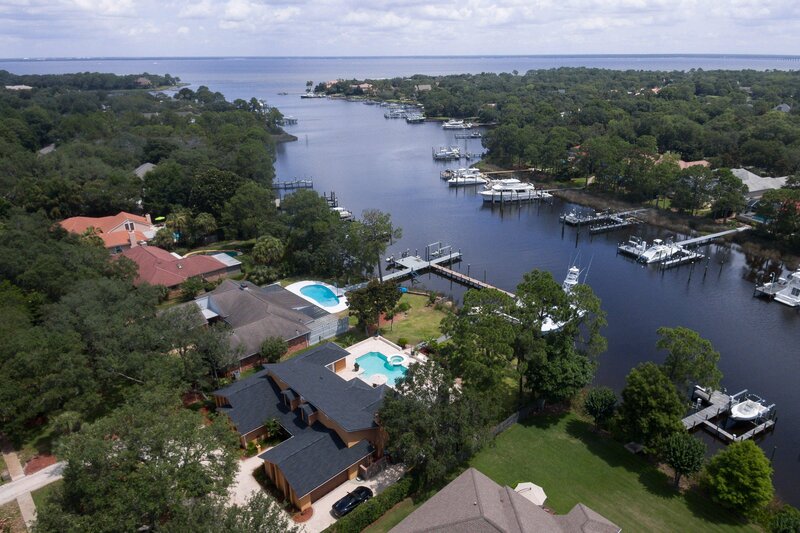 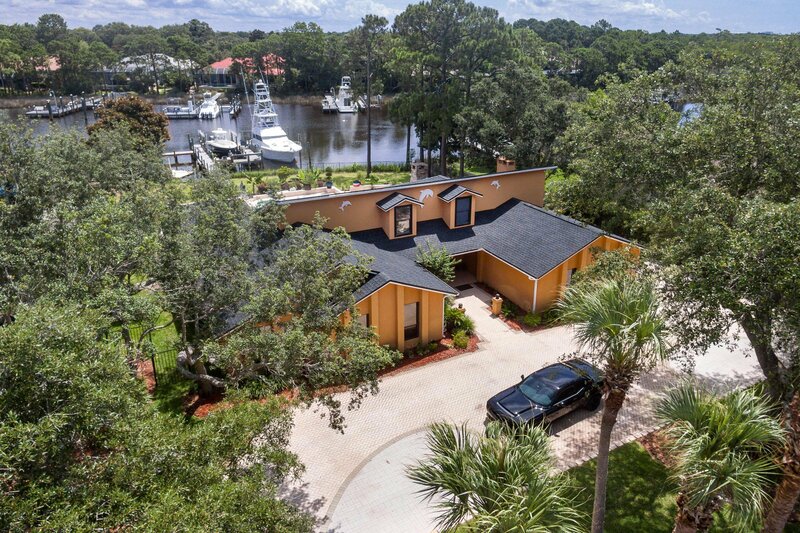 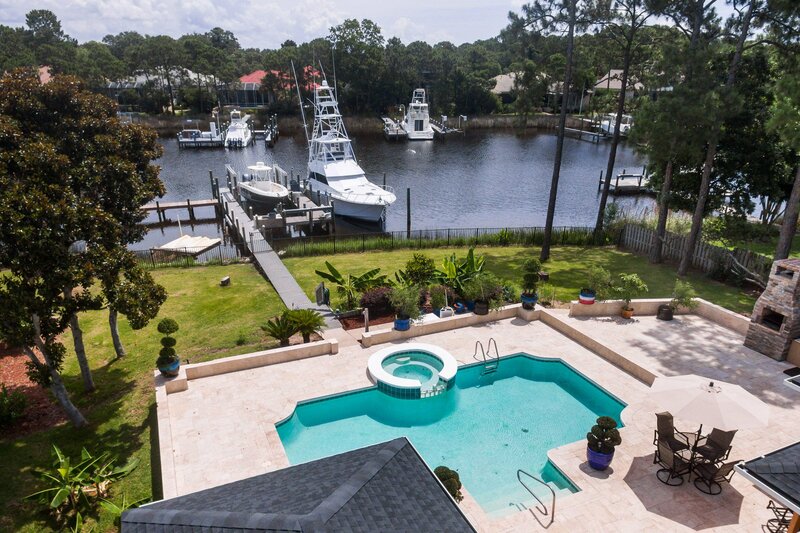 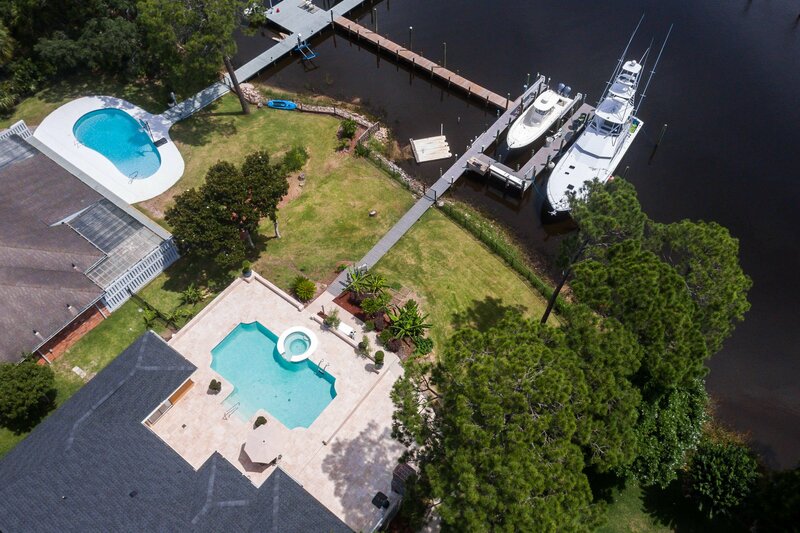 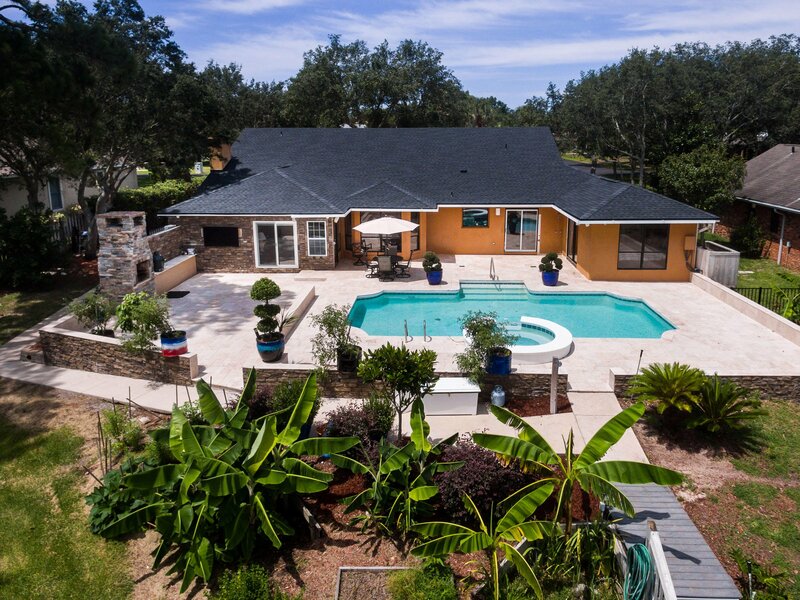 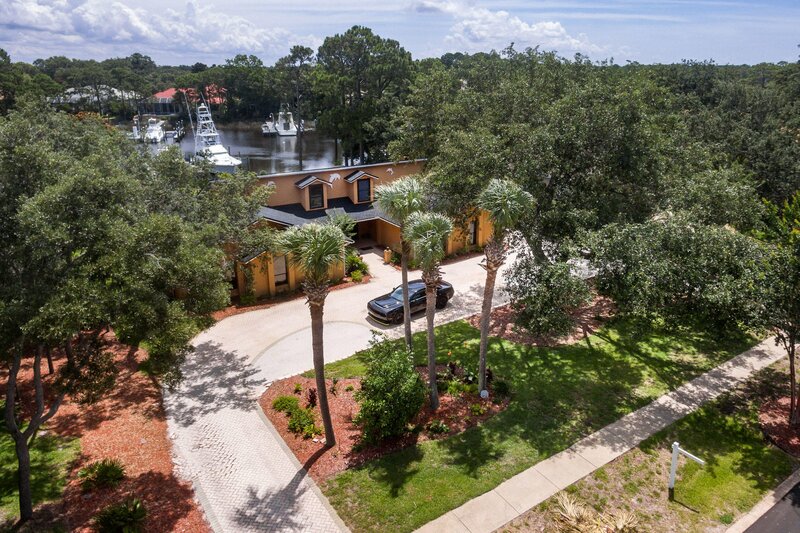 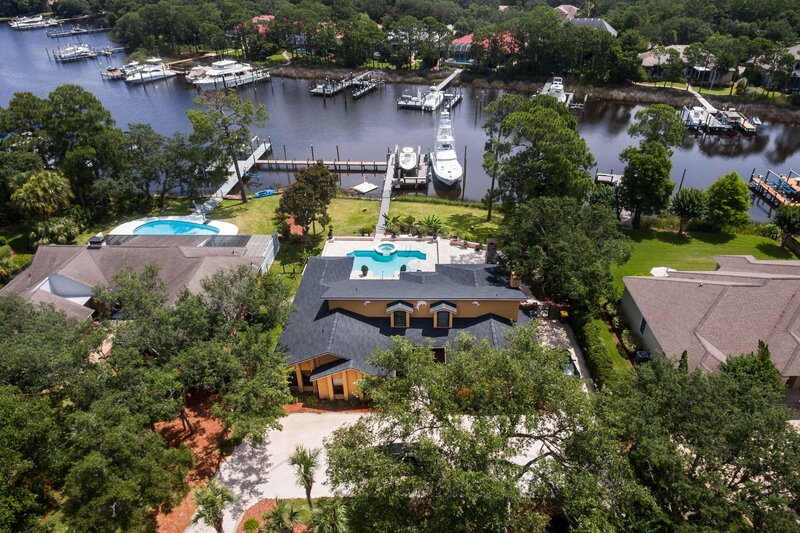 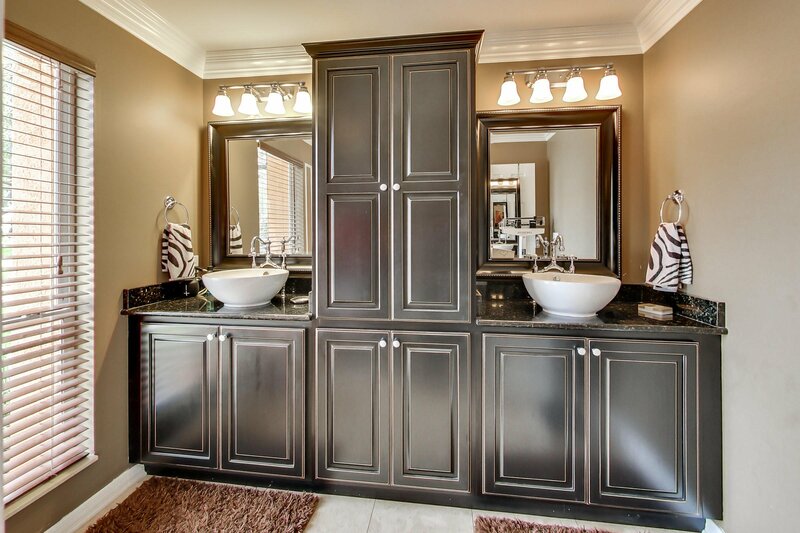 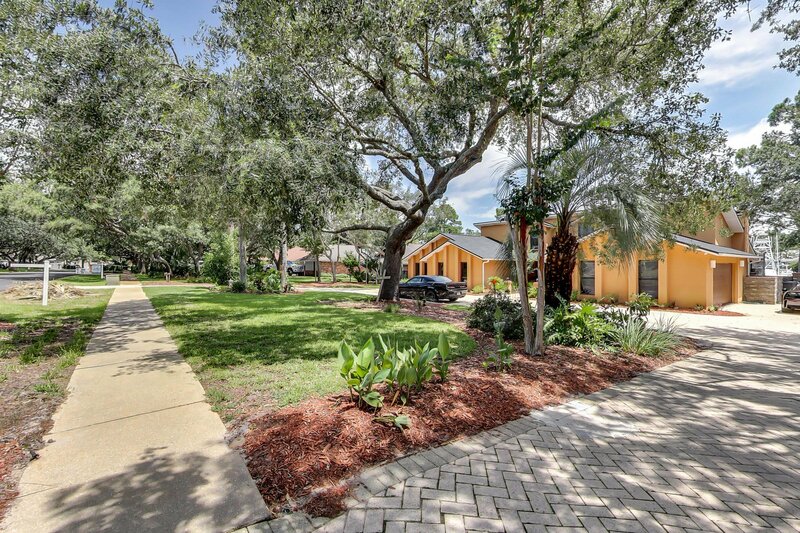 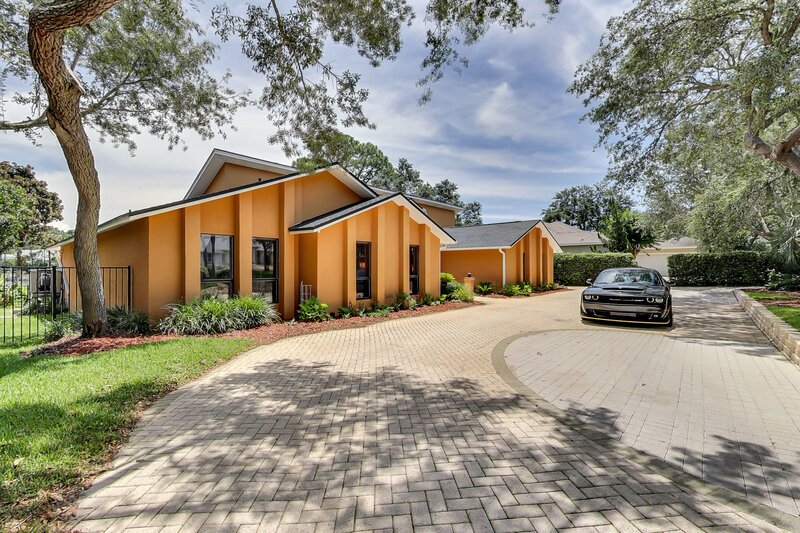 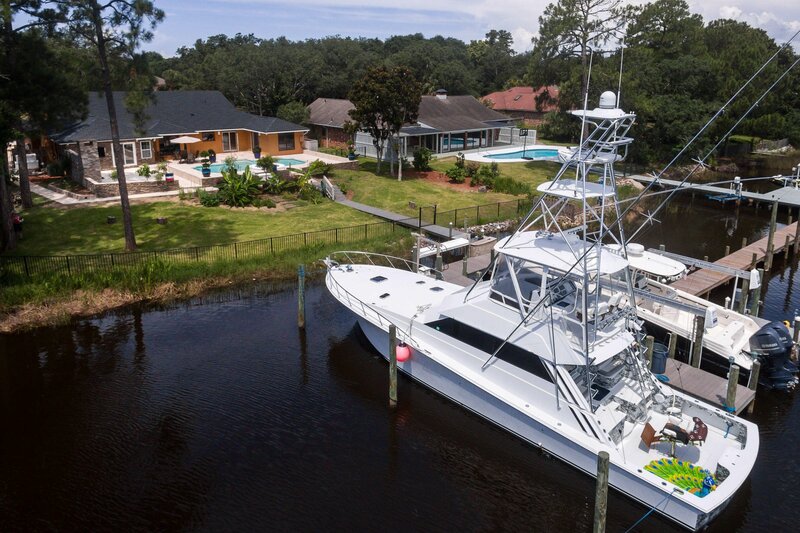 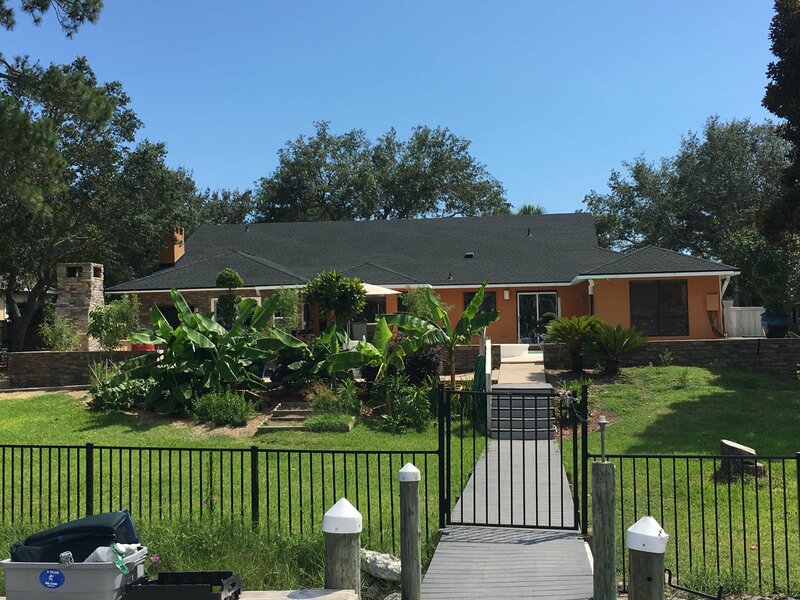 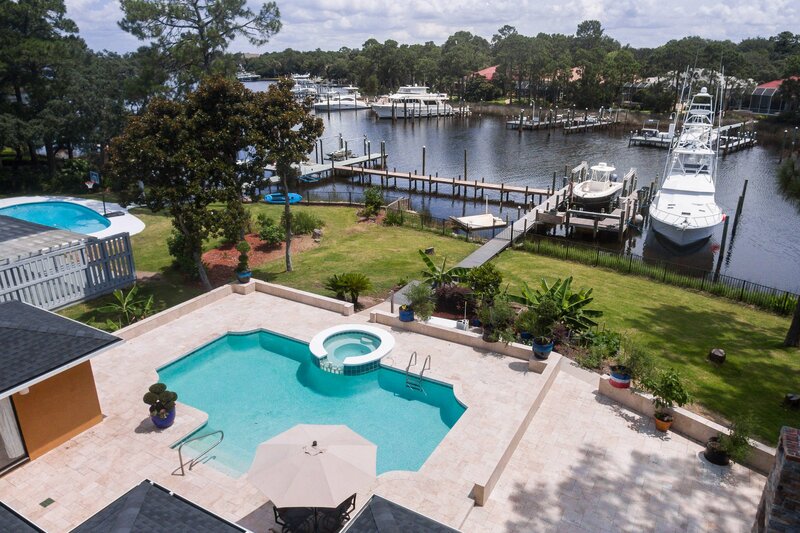 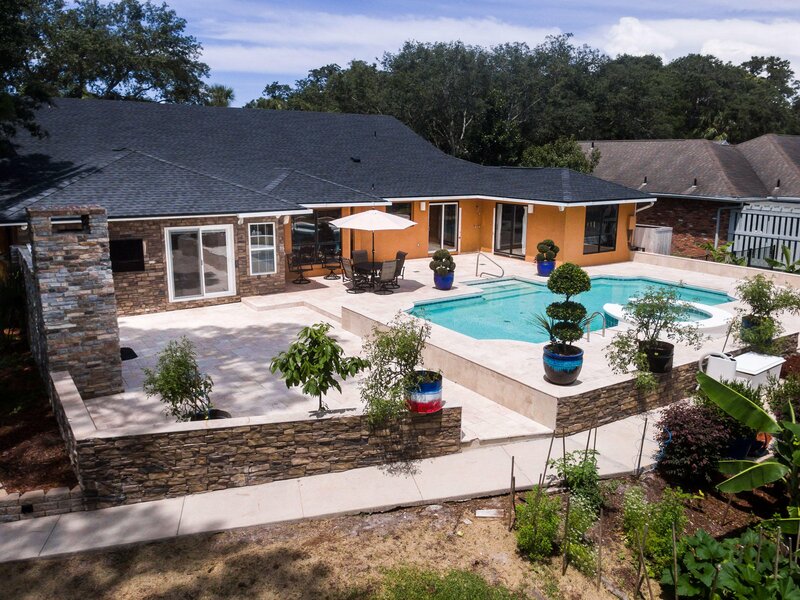 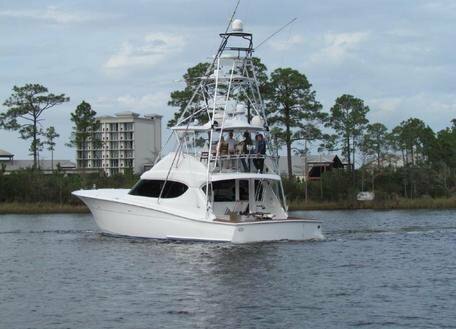 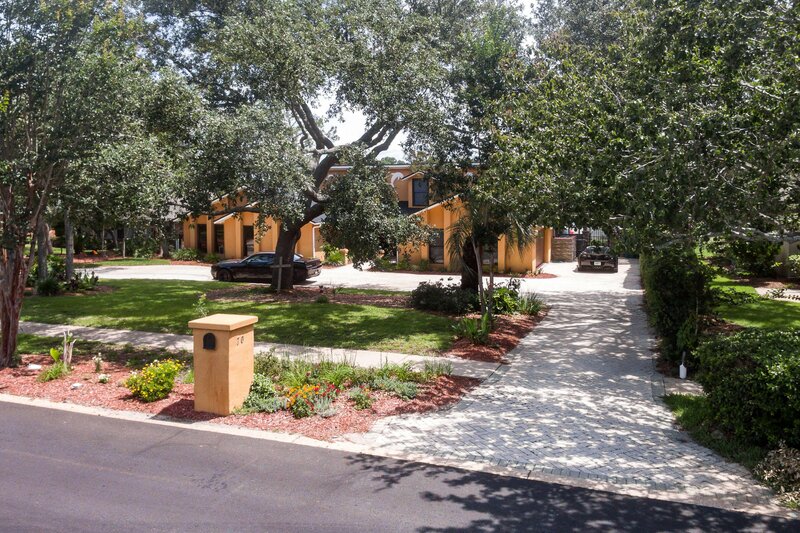 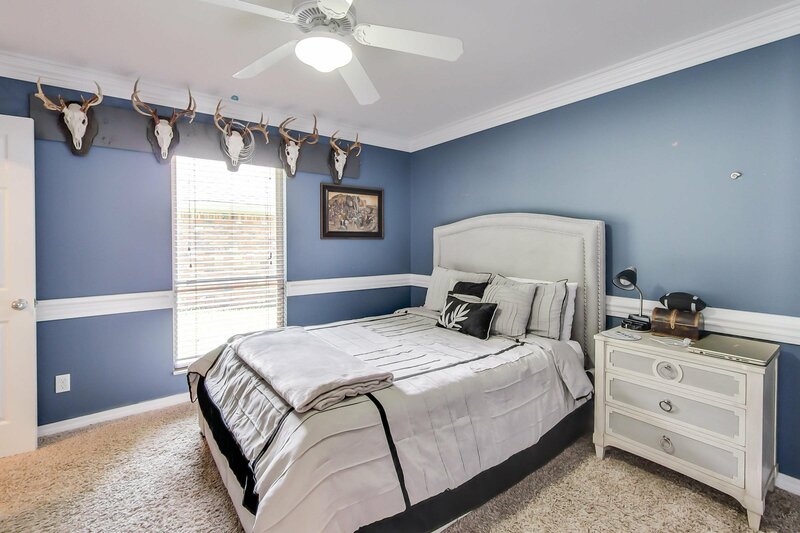 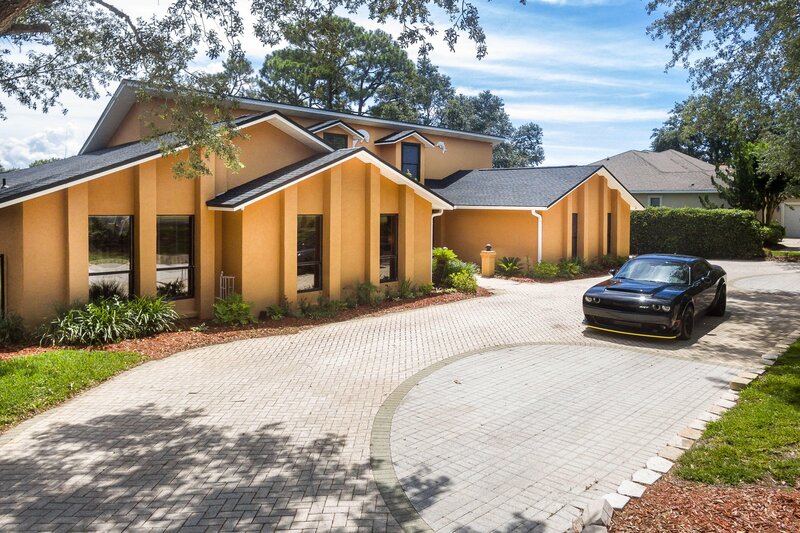 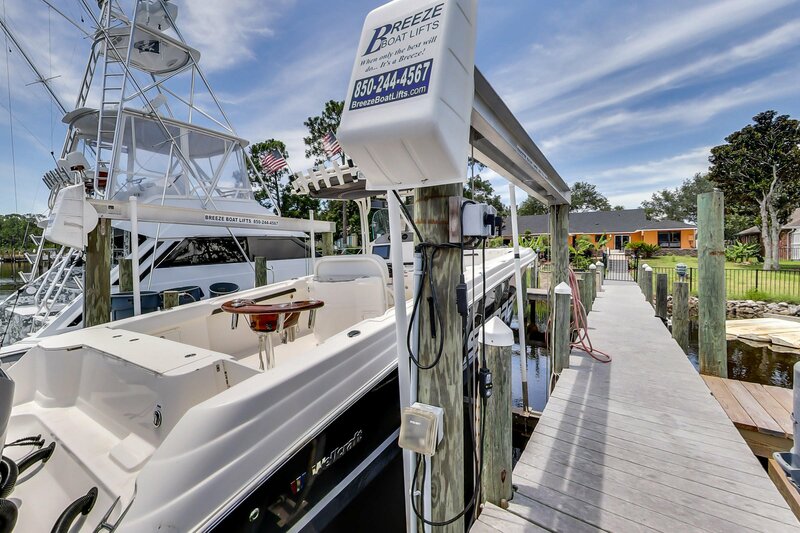 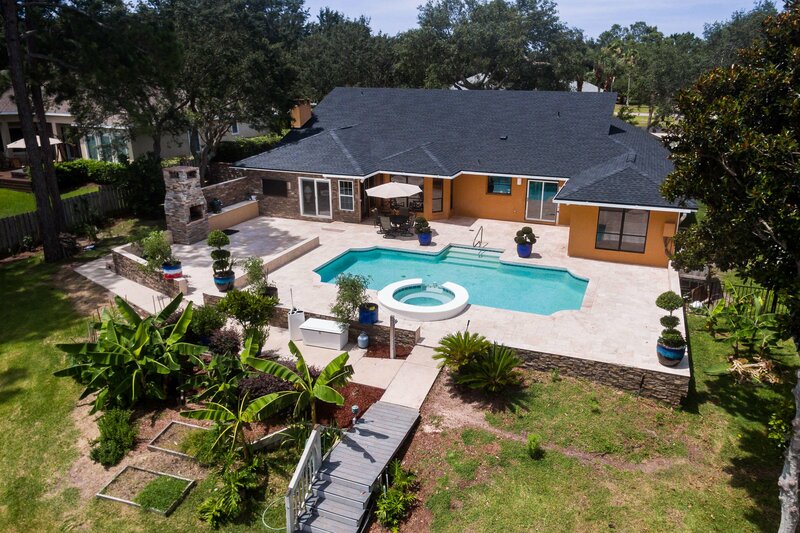 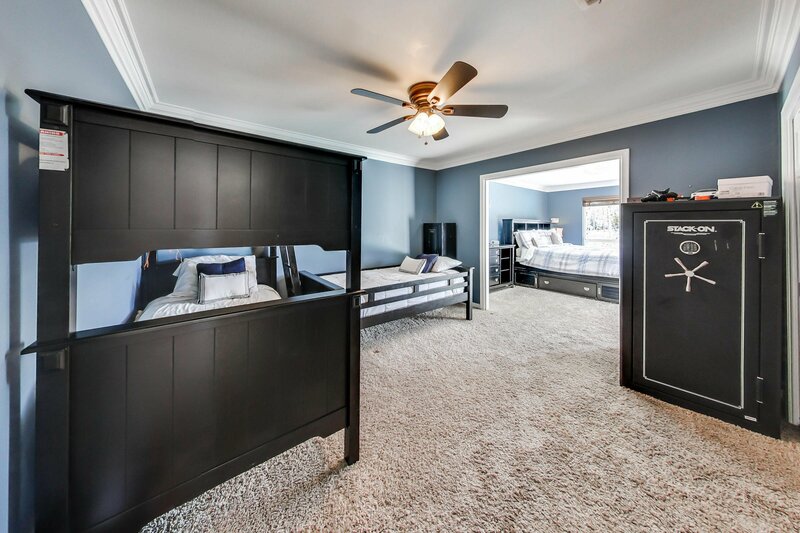 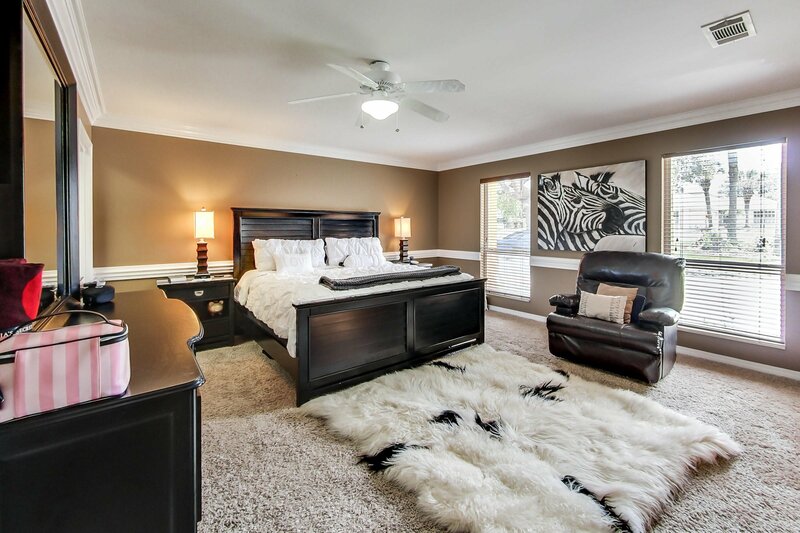 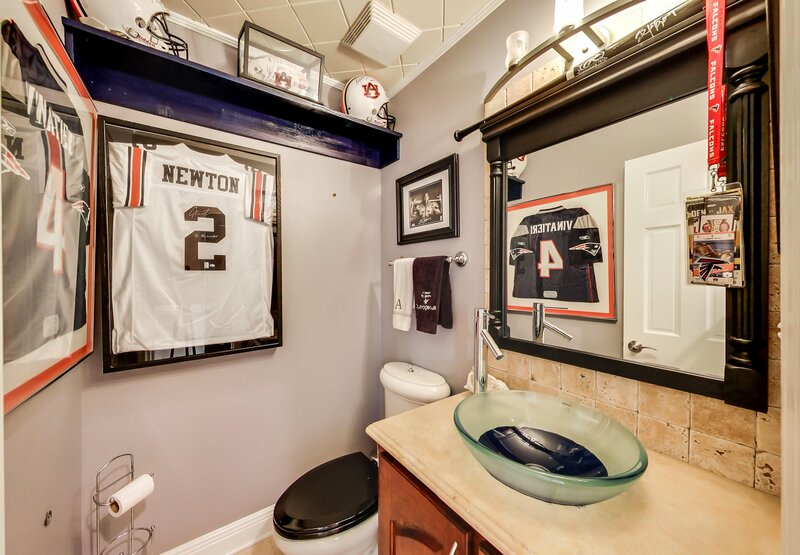 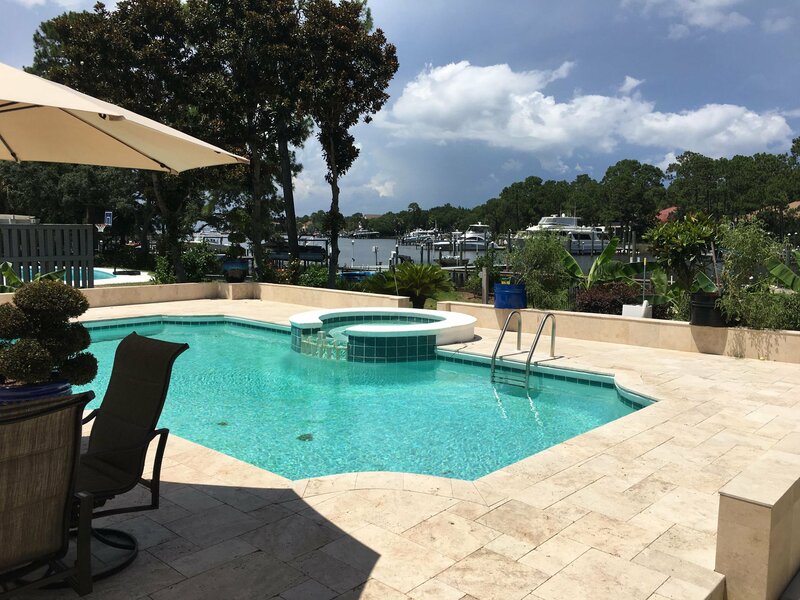 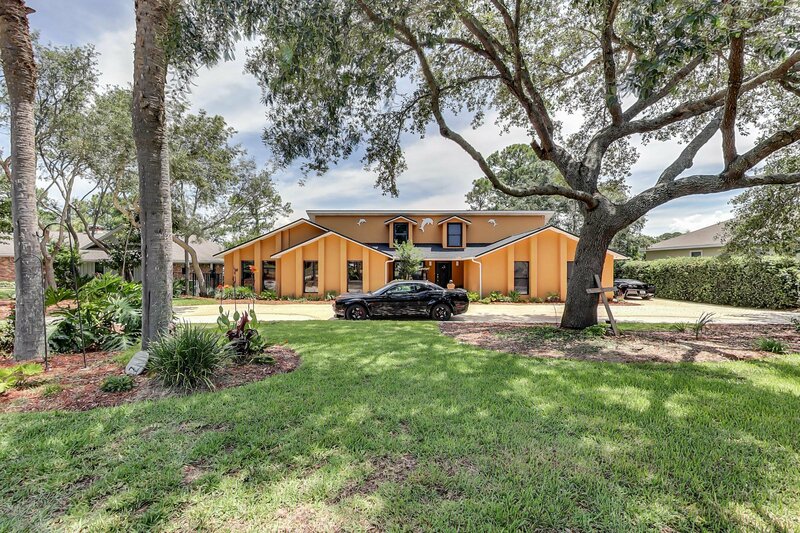 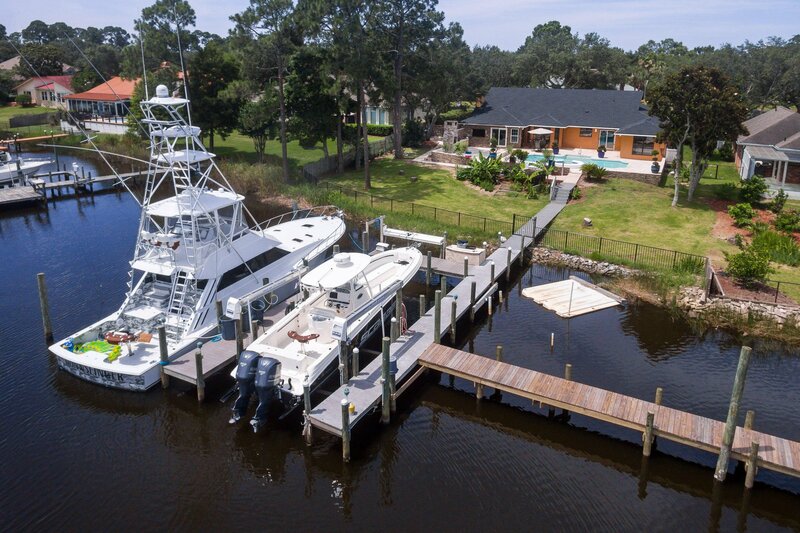 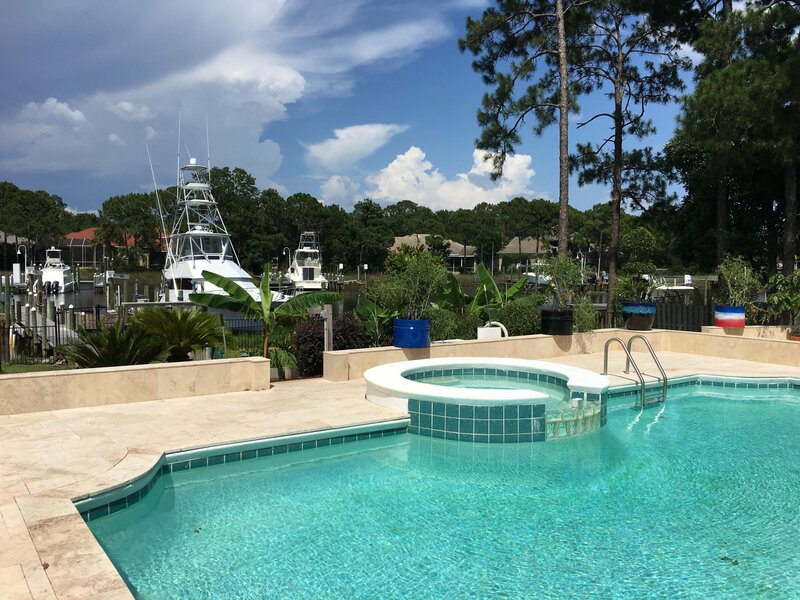 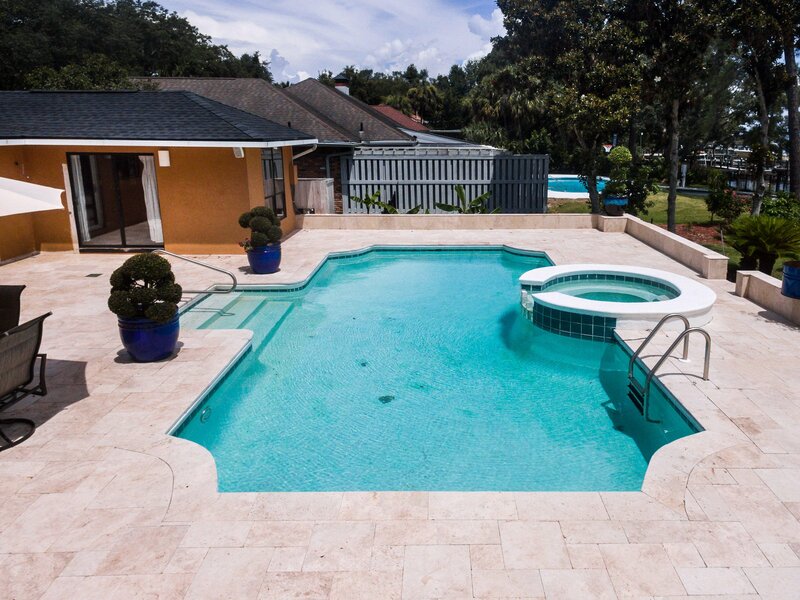 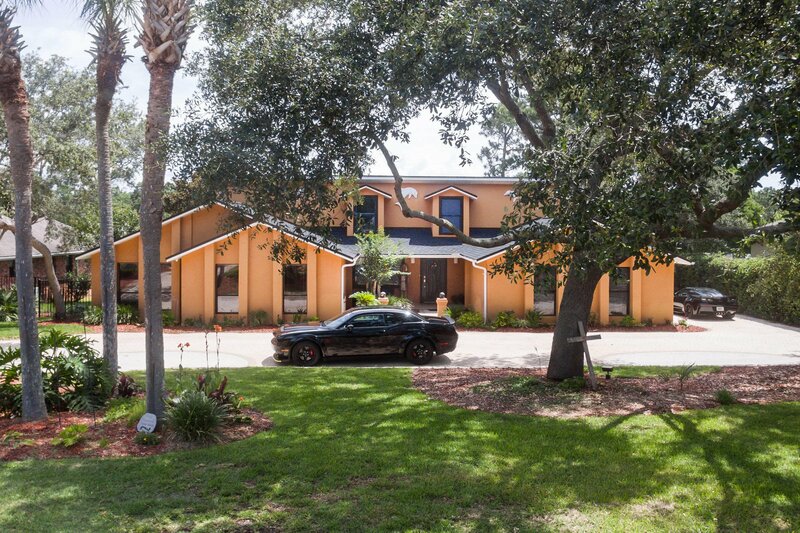 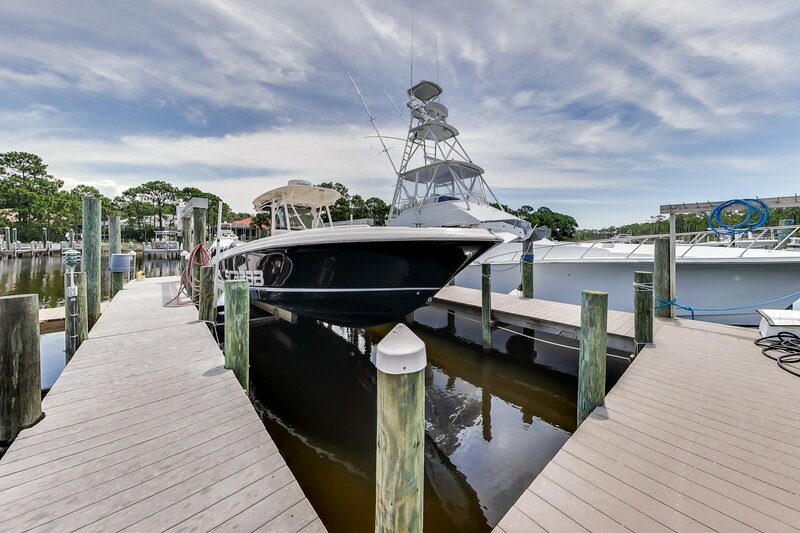 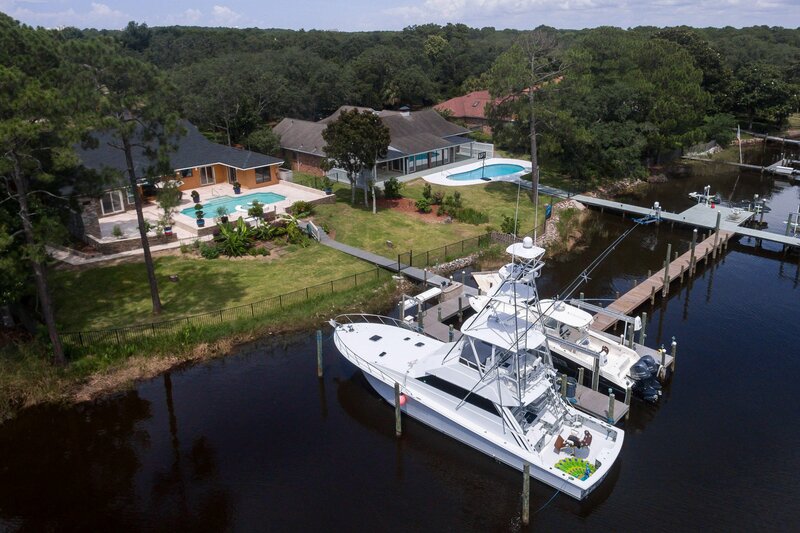 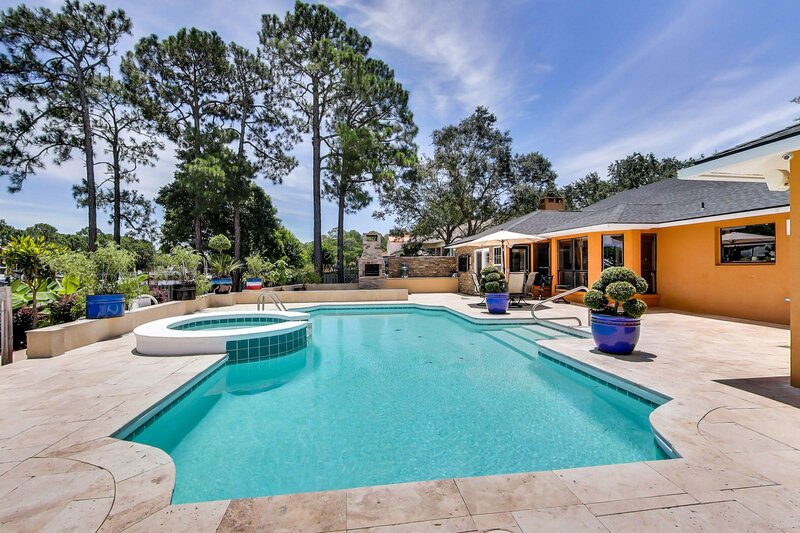 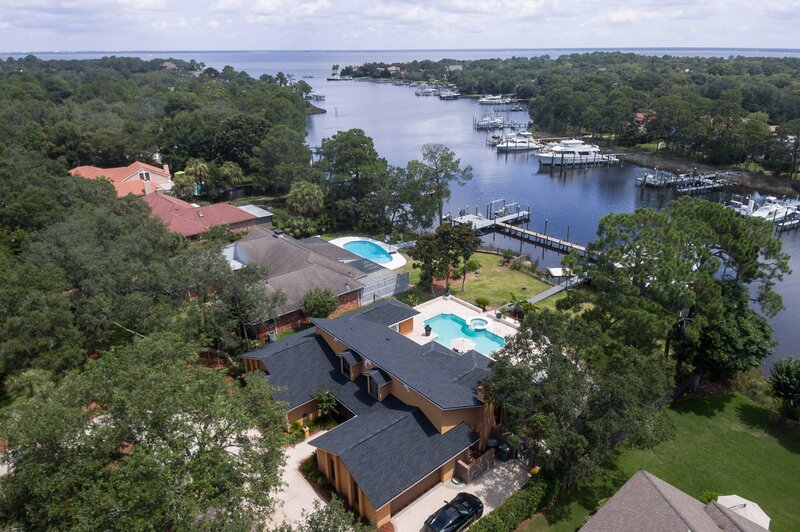 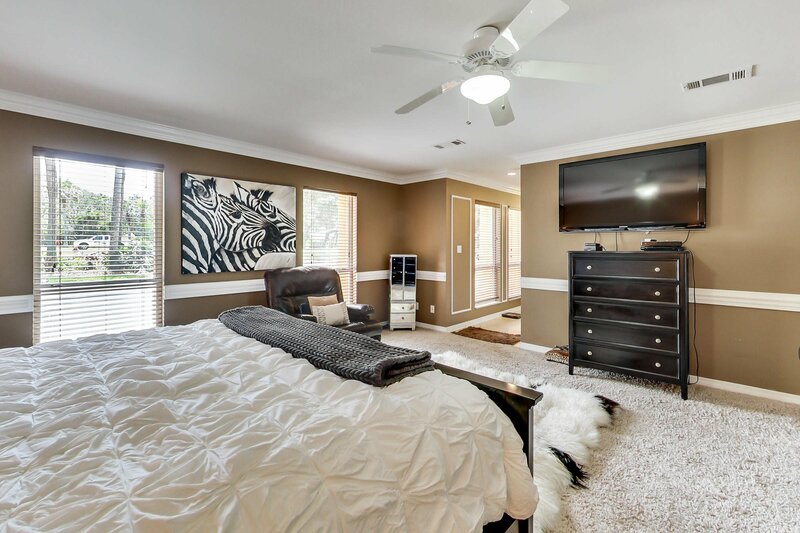 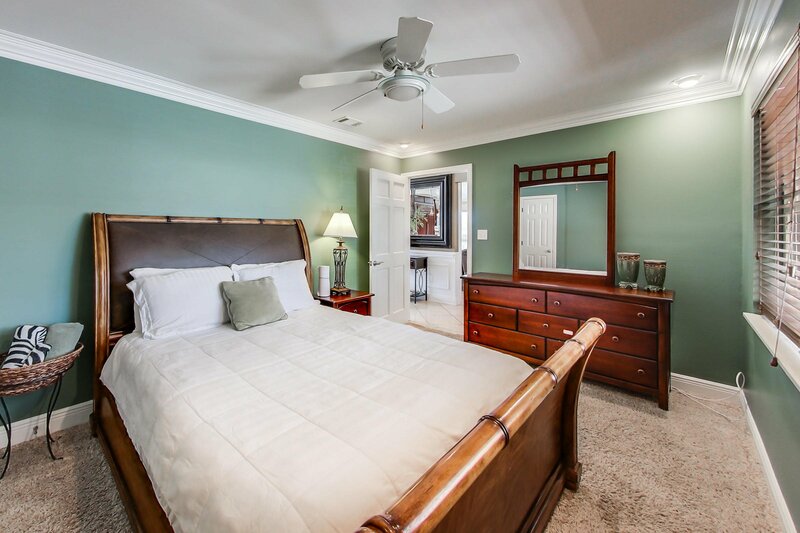 Enjoy Florida living at its finest on one of the rare lots in Destin that is truly deep water for yachts and sportfishing boats, and is also very well protected from most hurricanes. 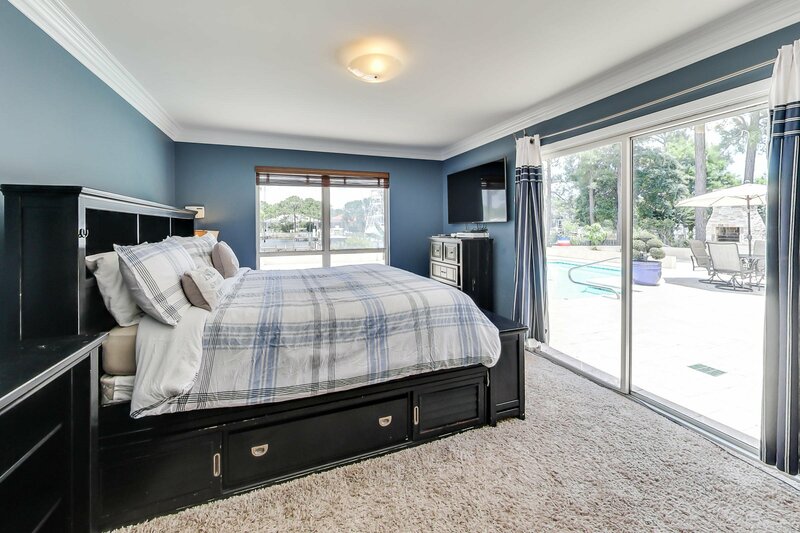 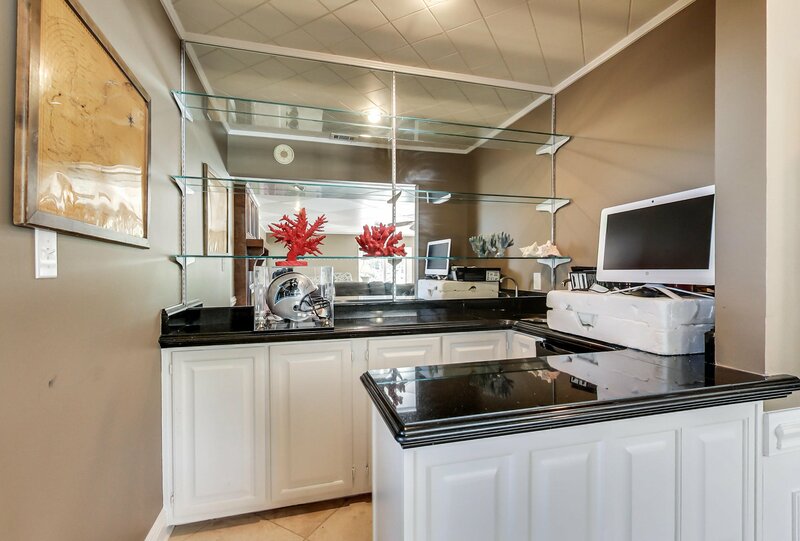 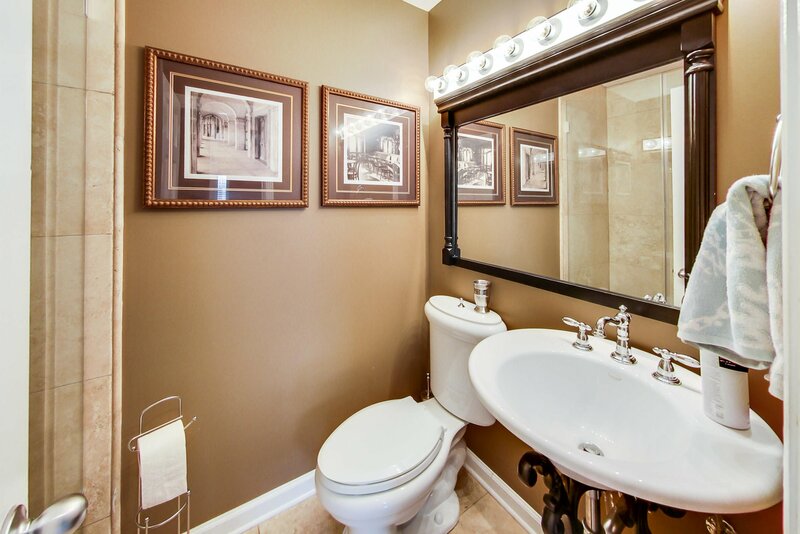 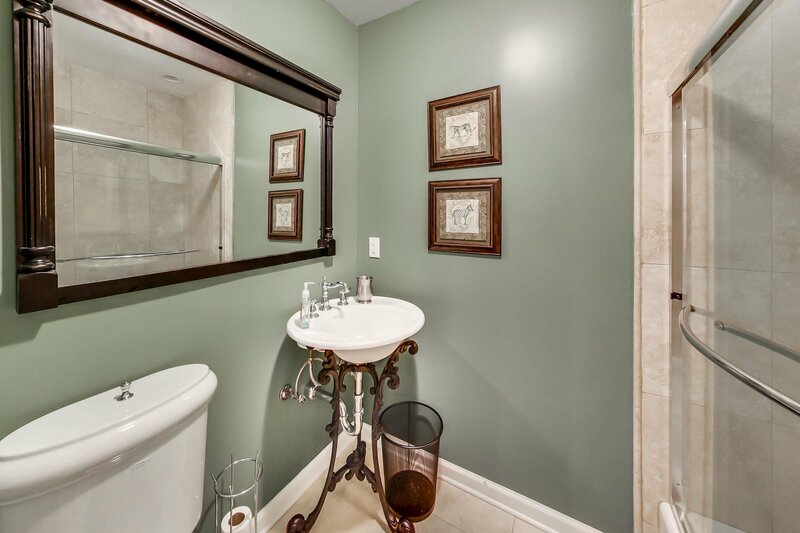 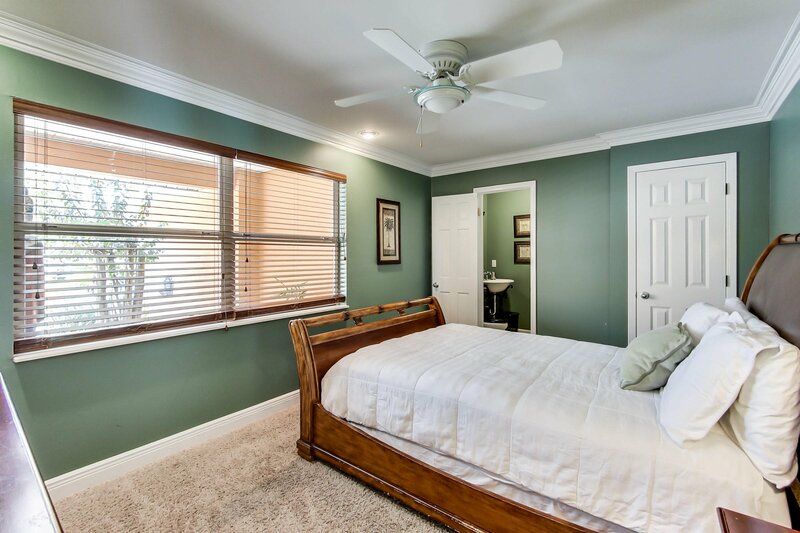 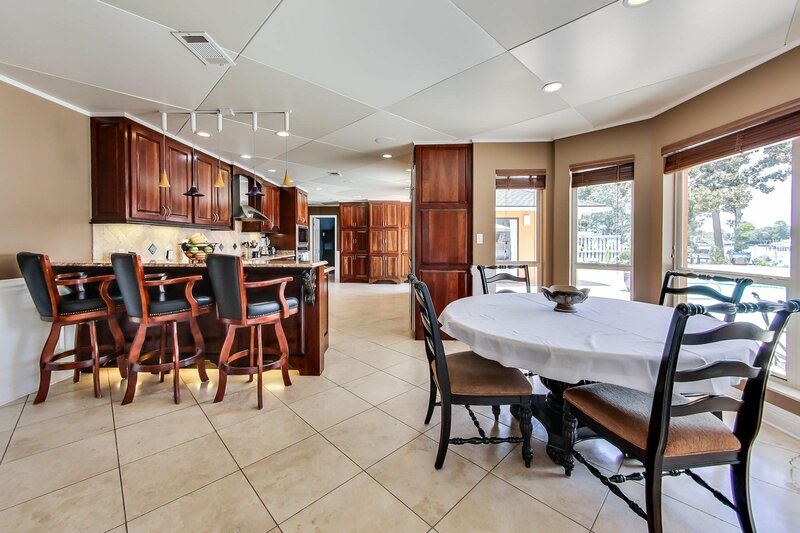 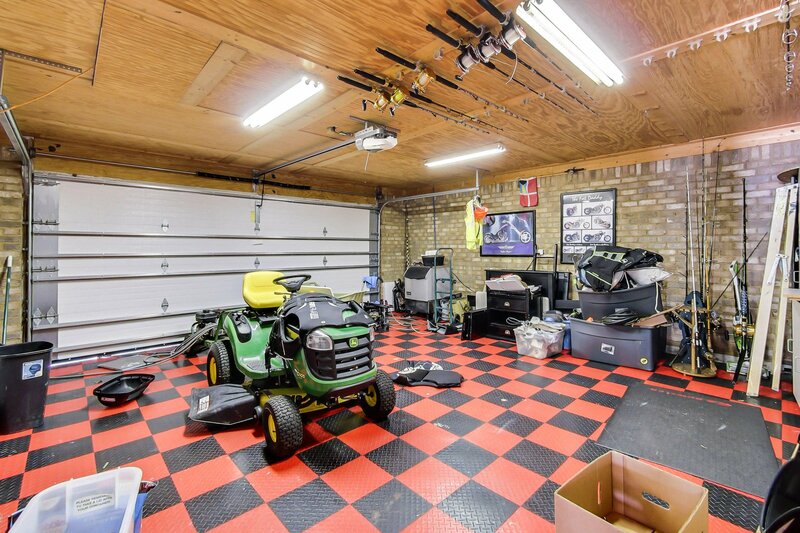 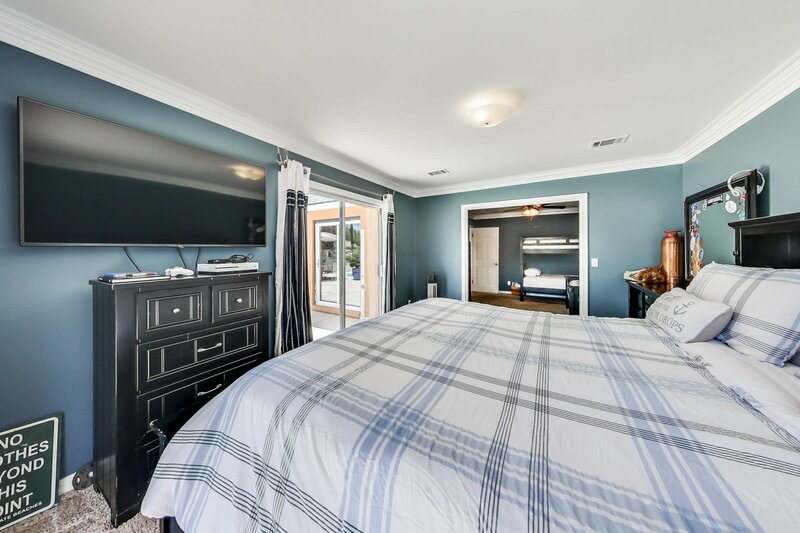 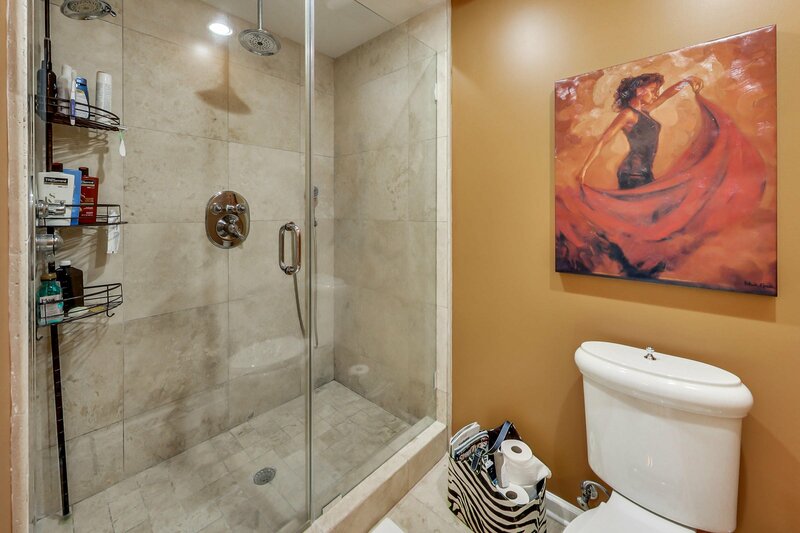 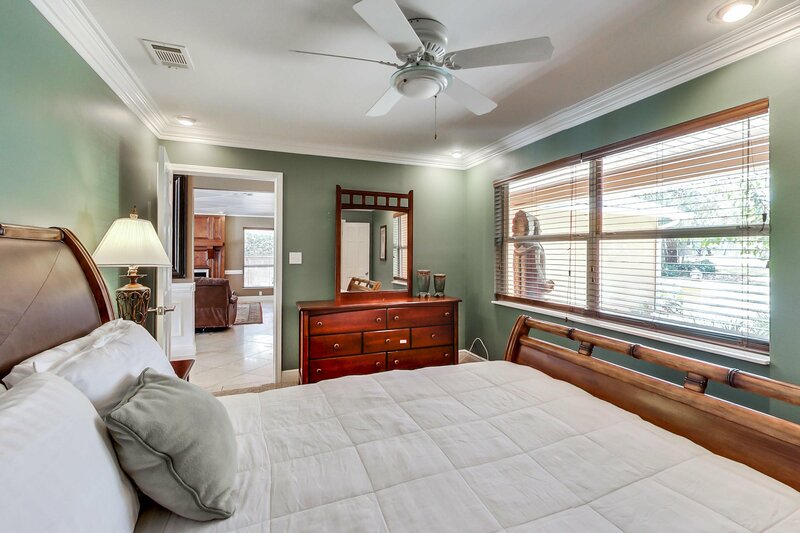 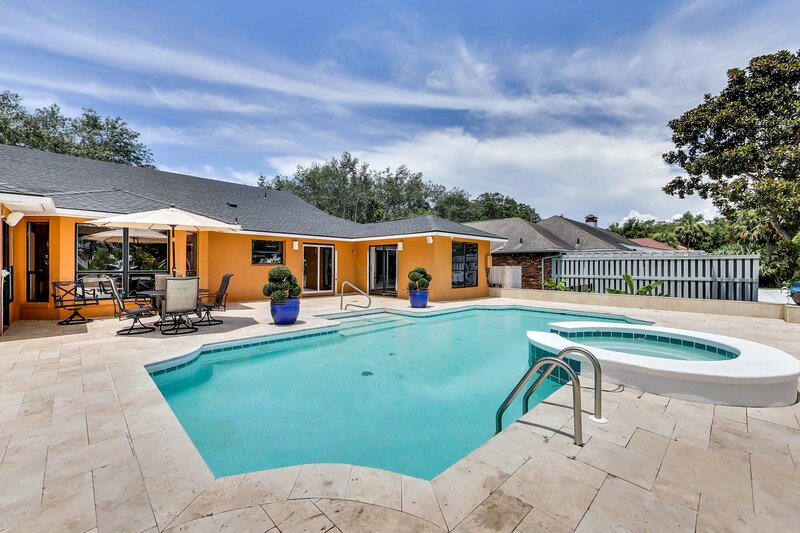 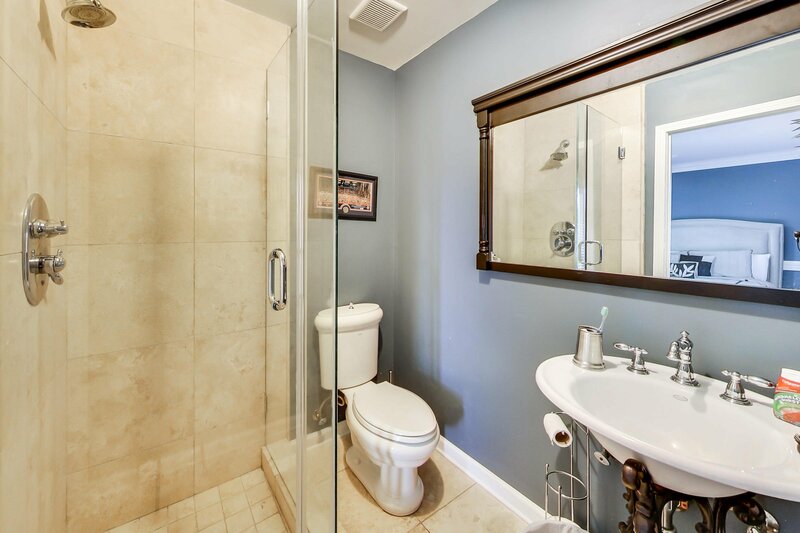 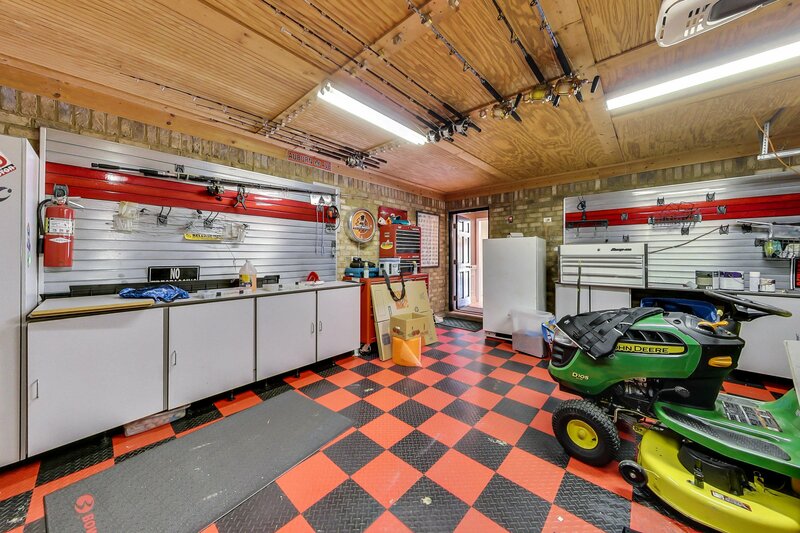 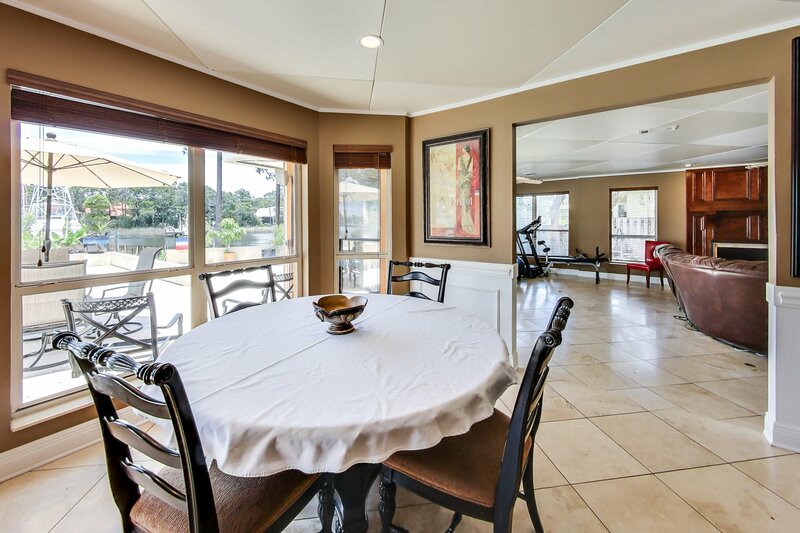 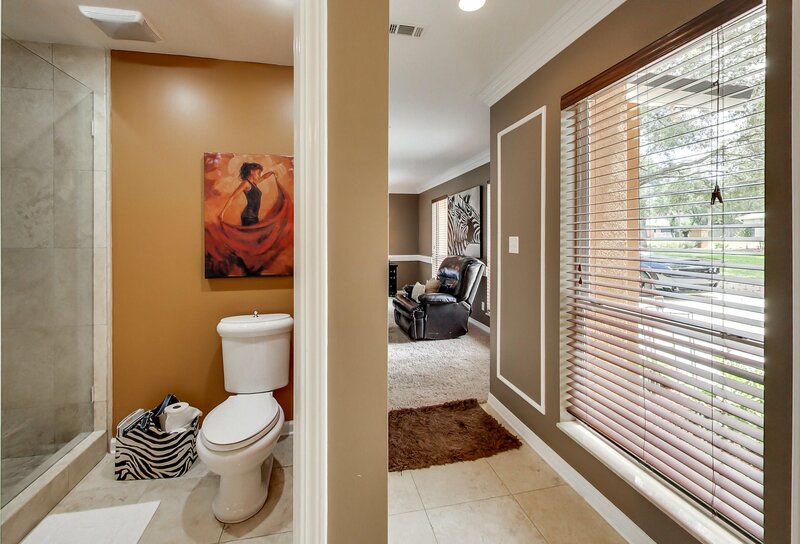 This house has been updated throughout with renovated bathrooms, living areas, kitchen, pool deck and more! 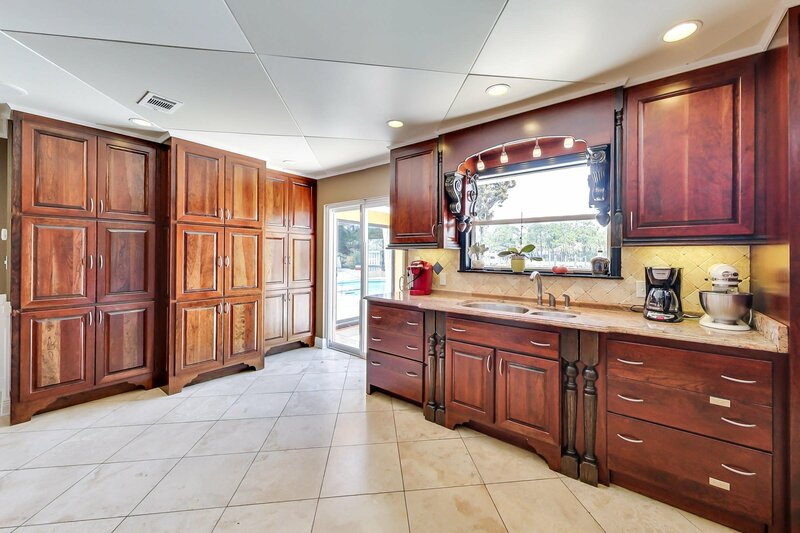 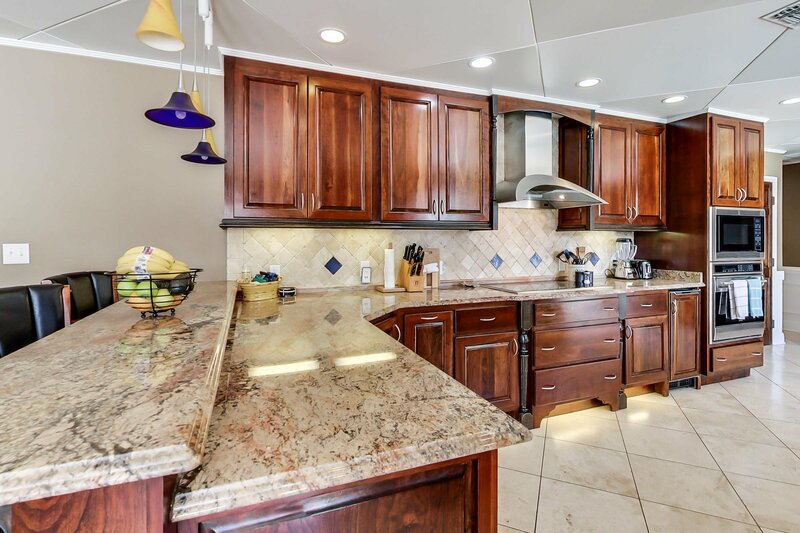 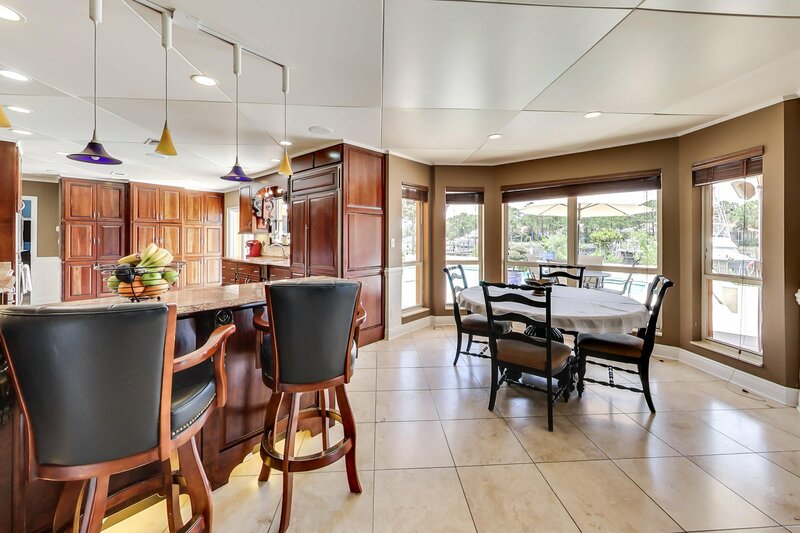 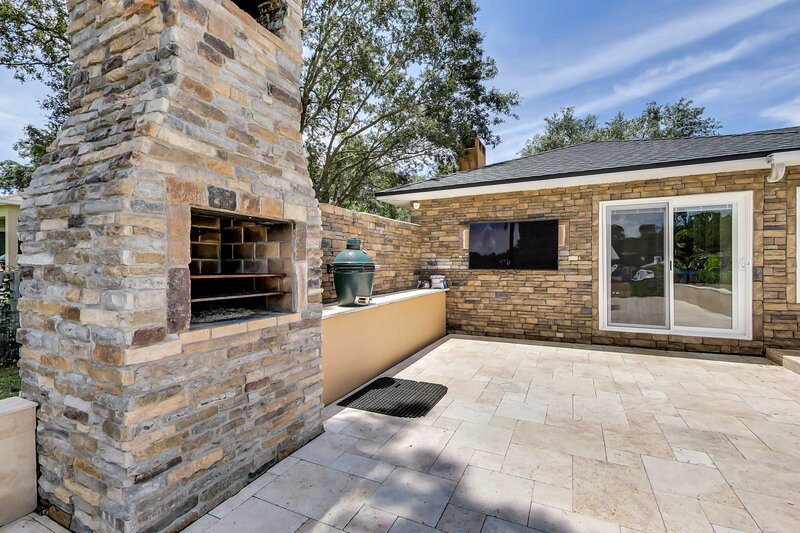 The kitchen features the top of the line Wolf appliances as well as a Sub Zero fridge, and all of the living and social areas both inside and out have been decked out in travertine marble. 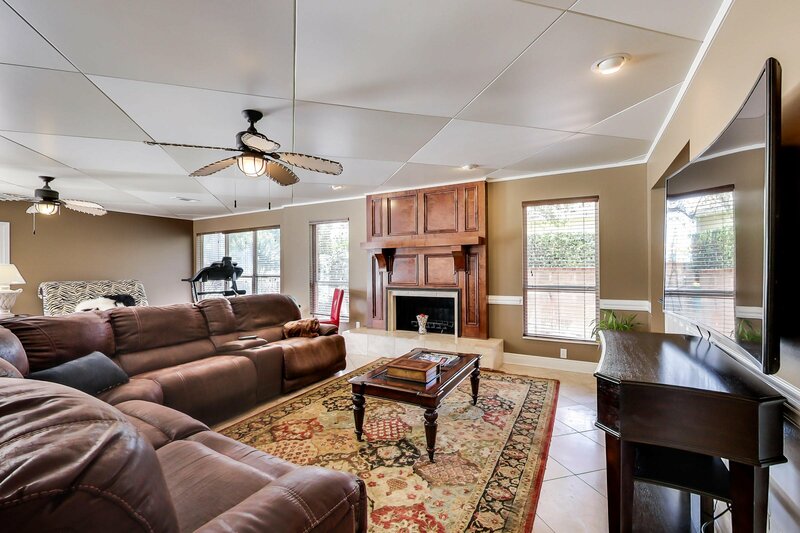 There is a new roof, new brick paved driveway, and new paint on the exterior (the owner will provide an allowance to repaint if you do not like the color). 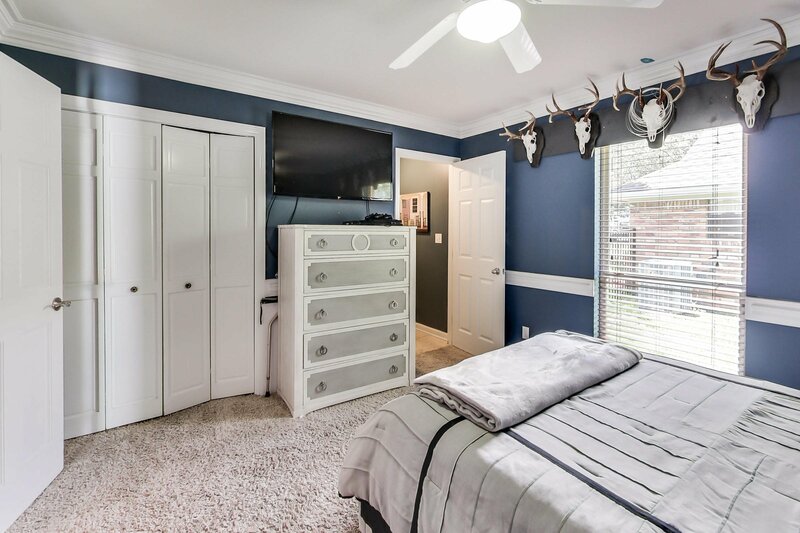 The highlight is the outside. 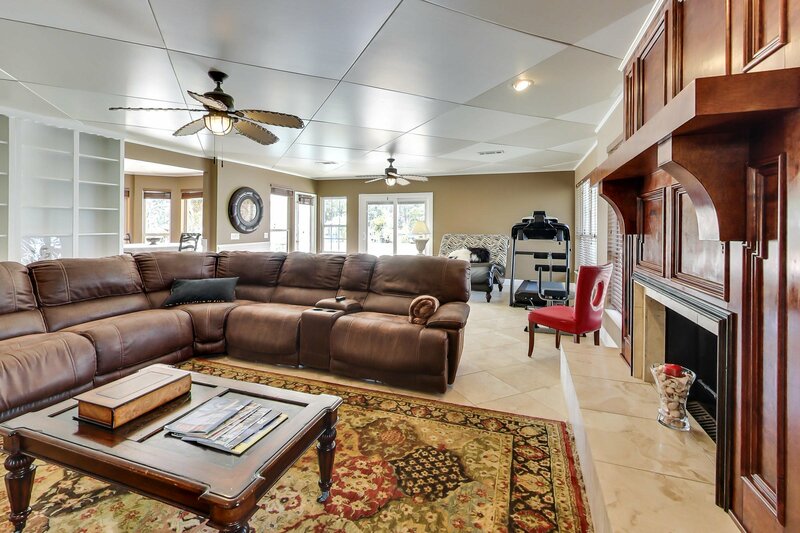 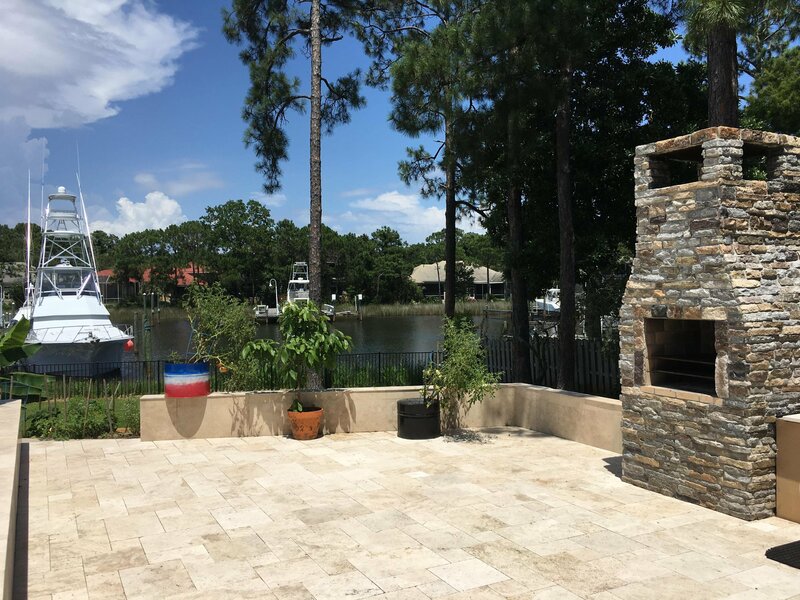 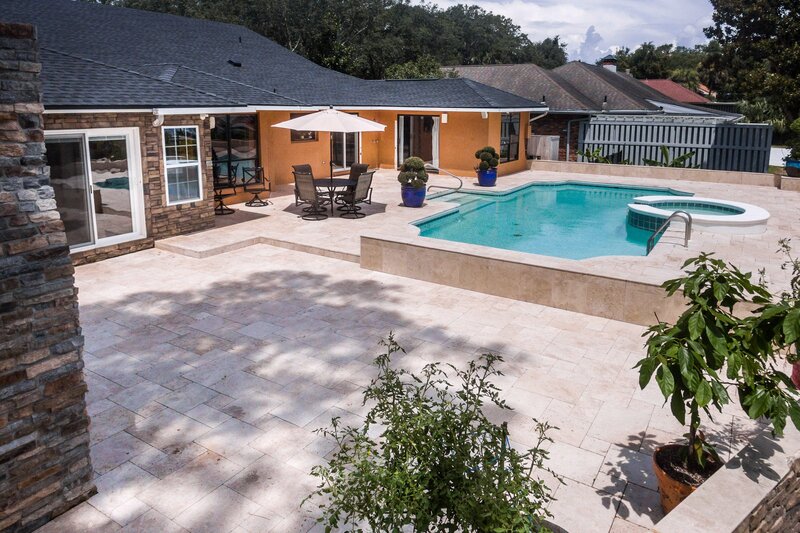 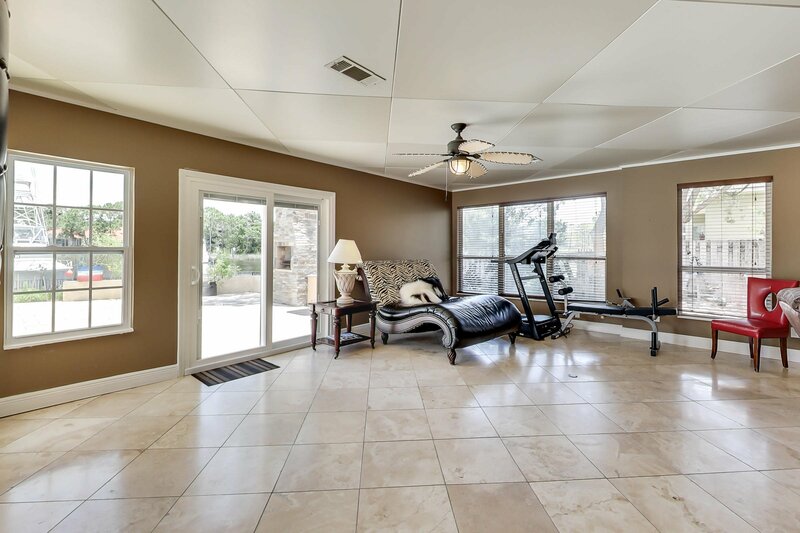 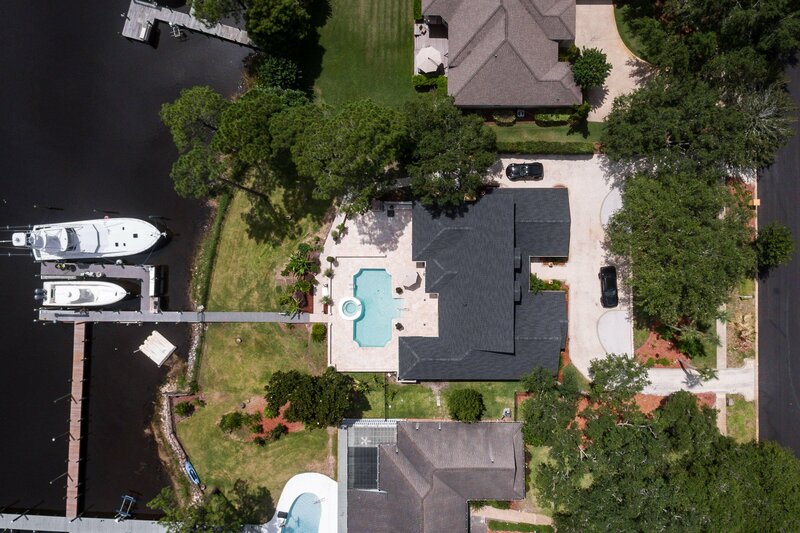 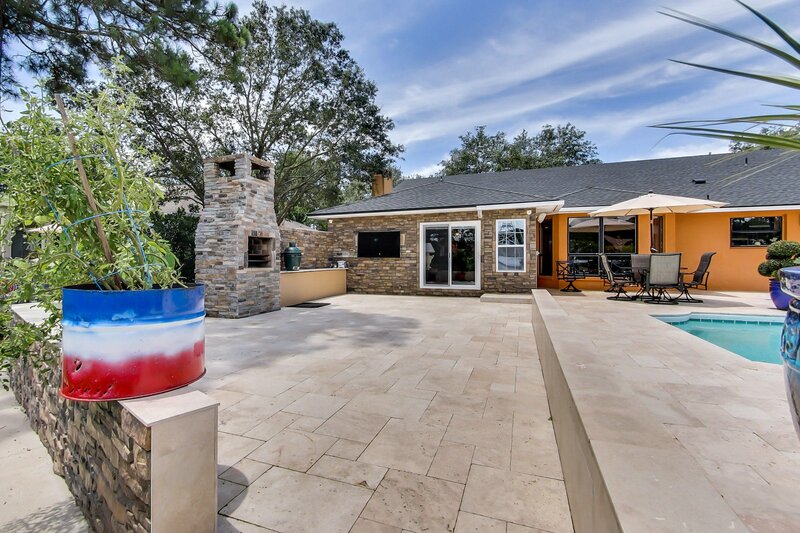 A large plaza and outdoor brick fireplace were created to entertain while looking over your large yacht on the bayou.